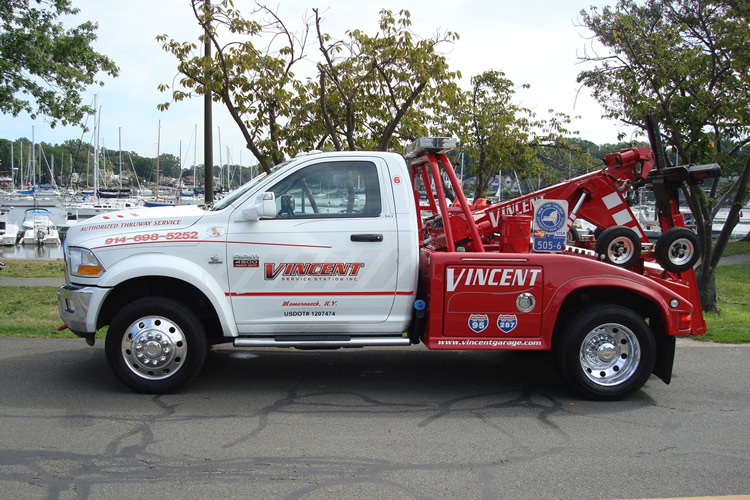 This tow truck practically does the work on its own! Perfect for emergency tows when time is of the essence. Using a joystick inside of the truck, the tow operator is able to control the loading procedure without ever leaving the safety of the truck. The Dodge has dual winches in the rear making recoveries and accidents a breeze. This truck is most commonly used for police impounds as well as simple highway tows that would normally put our drivers in harm's way. Modern technology is showcased at its best in this light-duty wrecker.